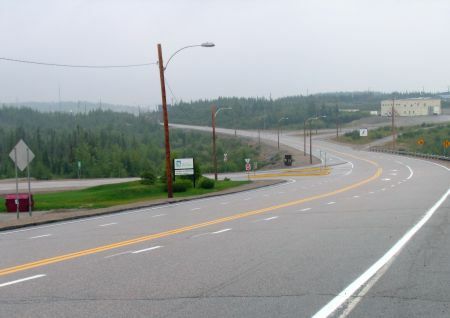 This is the turnoff to Radisson at Km 617 of the James Bay Road. The friendly Tourist Information office, on the left just as you come in to town. 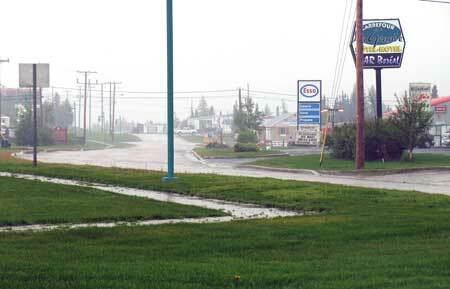 The campground is up the hill to the right of the office (left turn off the main road). 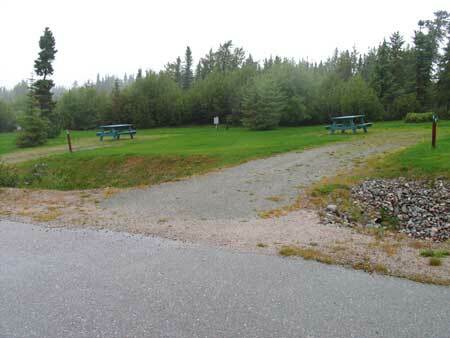 The campground is clean and open. There's some sections with more trees. 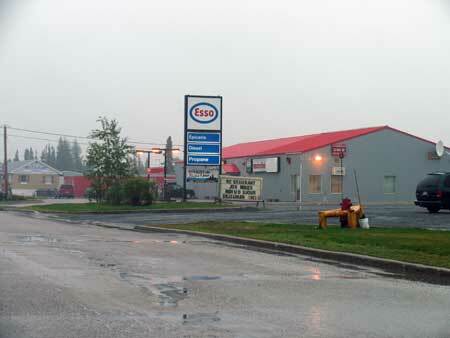 The only store and gas station in town. Head straight along the main road -- you can't miss it on the right. Groceries are available here. If you don't want to stay at the campground, you have a choice of motels. 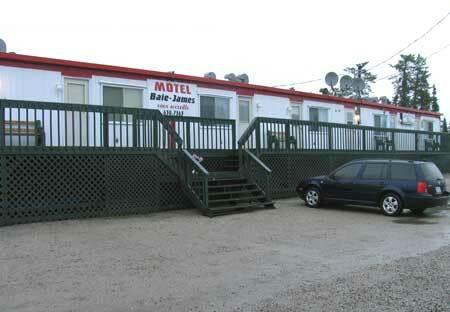 This is the Motel Baie-James, where I often stay. 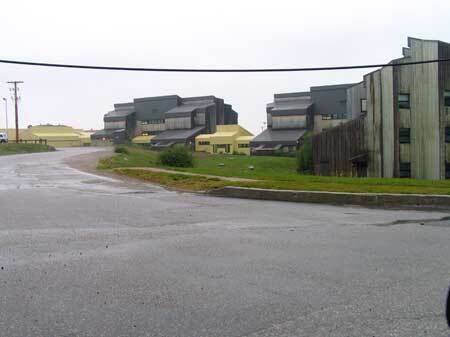 Radisson is a functional town, not a pretty town. 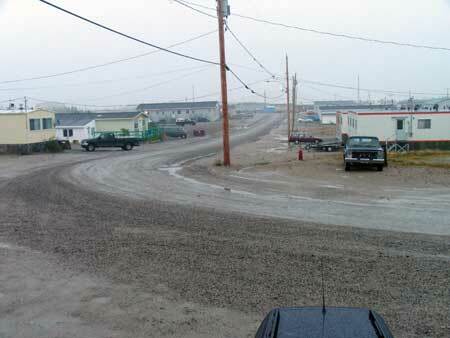 This is the view from the Motel Baie-James. 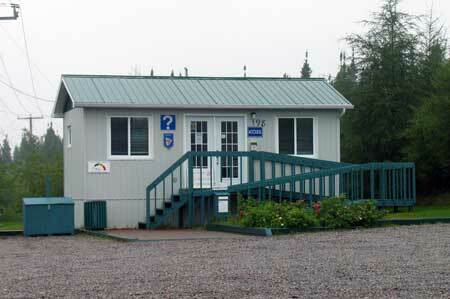 Accommodation for Hydro Quebec workers.